You have struggled for years with a lackluster smile. It’s bothered you so much that you’ve hidden your teeth in photos and even feel uncomfortable laughing for fear that you’ll reveal your flaws. But the time has come for you to do something about it. You thought about and decided to go with porcelain veneers. 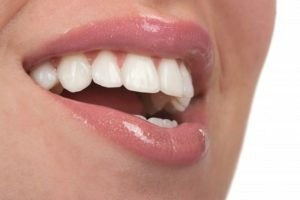 Your dentist is excited to help you regain your confidence, but first wants you to be aware of some facts about porcelain veneers that you may not have known. Decrease Sensitivity – Along with making your teeth brighter and more aesthetically pleasing, veneers can make them less sensitive and stronger. They accomplish this by creating a barrier between foods and drinks that are more prone to cause sensitivity. May Not Harm Enamel – Thanks to breakthroughs in the world of dentistry, veneers may no longer always require enamel removal. Your cosmetic dentist may be able to complete the process with little minimal reshaping of the tooth. Reshaping Ability – A great advantage of veneers is that they can alter your facial shape. Dentist can place them so that they widen your smile, accentuate your natural bone structure or create more symmetry. Require Careful Eating – Because your veneers are made from porcelain, they are subject to breaking if you eat hard foods. After getting them, try chewing foods with harder surfaces with your rear teeth. Longer Lasting – Veneers will typically offer relative longevity. They can last up to 20 years if cared for properly. Porcelain veneers provide a fast and effective way to improve your smile, using dental-grade porcelain to cover gaps, chipped and cracked teeth, slight misalignments and discoloration. They are made into thin strips that are adhered to your teeth using a resin that is cured with a special light. Overall, the procedure requires just a little prepping of the teeth that the veneers will adhere to. Now you are more informed and ready to get the smile of your dreams. If you have any other questions, feel free to reach out to your local dentist to learn more about the benefits of porcelain veneers. Dr. Neil Flenniken earned his bachelor’s degree in nutrition from the Ohio State University and his Doctor of Dental Surgery from Howard University in Washington D.C. With 17 years of experience in cosmetic and implant dentistry, Dr. Flenniken is certified in laser dentistry and nitrous oxide and I.V. sedation. He practices at Flenniken Family Dentistry and can be reached for more information through his website.